If your job involves any form of lifting then you need to make sure you're doing it properly. Because lifting things with a bad technique can be a major cause of back pain and injuries in the workplace. Now you may be wondering why the way you lift things is such a big deal. Well for those of us who have to lift regularly at work it definitely is. As manual handling has been reported to be the cause of over a third of all injuries in the workplace. So you can see how vital it is to learn how to lift properly. And by following these 11 tips you can do just that. So many people pull muscles or put their back out suddenly when lifting objects. And one of the main reason this happens (alongside poor lifting technique) is because people try to lift heavy loads with cold muscles. So don't do it, as you're just asking for trouble. Because lifting doesn't just involve your large muscle groups, it also works your smaller connecting muscles and tissues too. And when you don't warm thoroughly beforehand you are at far greater risk of pulling or aggravating something. So before you lift have a stretch and warm-up for a couple of minutes to get your muscles warm and ready for the task ahead. As this will loosen your body up and get your blood pumping. And not only will you lower your risk of injury by doing this, you'll also perform better during the day too. The video above is a good example of a warm up you can do. Planning your lift out before you attempt it is so important. As the last thing you want to happen is to run into problems and obstacles while you're carrying a heavy load. How heavy is the load and do I need help lifting it? Is the load too bulky to carry on my own? 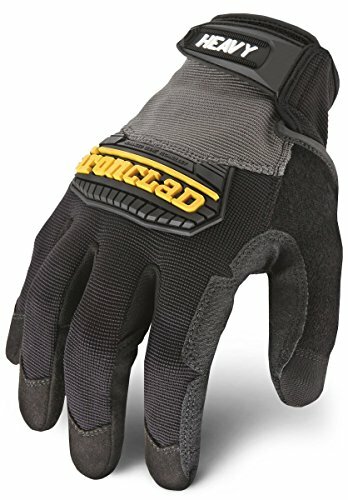 How can I get the best grip? Where do I need to take it to? Is the pathway clear of any obstacles? And is the floor free of any slippery surfaces or potholes? Do I have somewhere to put it down safely? Because getting these things clear in your mind before you lift will greatly reduce the risk of any slips, falls or accidents. So how do you get your body into a stable position before lifting. Basically you want to do the opposite of everything the guy above is doing! But you need to do this as getting yourself into a good, stable position before you lift will reduce any strain on your lower back. So ultimately you want to keep your body as strong and balanced as possible when lifting. You can do this by keeping your feet about shoulder width apart and placing one foot slightly in front of the other and beside the object for balance. Also get as close as you can to the object you are lifting. Now you are ready for the lift. Once you are in a stable position it's all about your lifting technique. Also don't bend your back when lifting and keep looking forward instead of down. Squat down next to the object to be lifted by bending at the hips and knees. Look forward and keep your back straight as you do this. Once there get a good grip onto the object. Keeping your back straight and looking forward, engage your core muscles and slowly lift the load by straightening your legs and hips. Exhale as you do this. Keep your elbows close into your body as you lift to reduce any strain. Also keep the load close to your waist as this will reduce the amount of pressure on your back, with the heaviest part of the load closest to you. Keep your movements smooth as you lift, as jerky and rushed movements can lead to pulled muscles. Remember to keep breathing throughout each part of the lift. Once lifted keep the load close to the body in the area between your waist and solar plexus. Twisting while lifting or carrying a heavy object is another major cause of back injuries. Because you need to remain balanced at all times when lifting. However, when you twist while holding a heavy load you are losing that balance and putting your body under pressure. So make sure your shoulders are facing the same way as your hips at all times. And if you need to turn while holding an object turn using your feet rather than your waist. But only do this once the load has been fully lifted. And never twist or turn during the lift. We may think of ourselves as strong men and women and become overconfident when attempting a lift. Because lifting something that's too heavy is going to put your back under serious pressure. So if you have a heavy or awkward object to lift take the sensible option and either use a trolley to move it or ask someone to give you a hand. And make sure when you are doing a two person lift that you work in sync by lifting at the same time and keeping the object at the same height. So keeping both your backs healthy is all about good communication and teamwork. Just don't over exert yourself unnecessarily and your back will thank you for it. Any kind of imbalances in your body as you lift and carry loads is bad news. Because these imbalances force parts of your body to overwork ​and compensate. And this just puts you and your back under increased pressure and strain and can cause muscle imbalances in your body that can cause back pain. I'm sure we've all experienced how carrying something heavy ​in one hand is more difficult than carrying something heavy in each hand at the same time. So make sure that the weight of the load is evenly distributed on each side and you will keep your balance and make life easier for your back. When carrying lighter loads you may be tempted to carry as many boxes as you can to cut down on the amnount of trips you need to make. However if you load yourself up with objects to the point where you can't see over the top of the things you're carrying it can be dangerous. Because not only are these types of loads awkward to hold, they also force you into a bad posture as you carry them. Which can cause you back pain over time. And there is a higher chance of tripping over and injuring yourself if you can't see where you're going. So either use a trolley or carry fewer items at a time instead. It's not just lifting and carrying things that leads to back pain. As how you put the load down is also a vitally important thing to get right. Because by putting the load down without thinking you may be throwing it or bending over which puts your back under strain and pressure. So instead adopt the lifting technique I spoke about earlier but in reverse. Look at where you are going to place the object you are holding and plan out the best way to put it down. Hold the object close to your body with your elbows tight into your sides. Looking ahead and keeping your back straight, bend at the knees and hips and lower yourself down into a squat position. Place the object down carefully. Don't drop or throw it. Keep your back straight and eyes looking forward as you use your legs to lift yourself back into a standing position. Your core muscles play a massive part in supporting your spine during everyday tasks. And they are crucial to help protect, stabilise, and support your back as you lift. So to give yourself the best chance of remaining pain-free and avoiding injury during lifting you need to engage your core muscles as you lift. And work to keep these muscles strong. Because the stronger your core muscles are the more support your spine is going to get. And there are many ways you can do this. For instance, activities such as pilates, yoga, and swimming are all great for building core strength. And you can also use specific core-strengthening exercises too such as those in the video above. Using the right lifting technique and keeping your body fit and strong are great defences against back pain and injuries from lifting. However, you also need to make sure you're wearing the right work gear that can give you a helping out. As things like gloves, boots, and back support belts can make all the difference. So let's start with grip. As this is crucial for both your hands and your feet. Because losing your grip while you are carrying a heavy load can cause you to instinctively try to catch it as it drops. And it's really easy to pull a muscle from these sudden movements as your muscles are already tense. So wearing a pair of gloves with good grip will be a big help. And a pair that are up to the task are the Ironclad Heavy Utility Gloves. As they are made to withstand heavy duty work while also providing comfort and a strong grip at the same time. You also need a pair of work boots with a good grip so that you avoid any slips and falls while carrying loads from A to B. And as you'll be on your feet all day they need to be comfortable and supportive​ too. 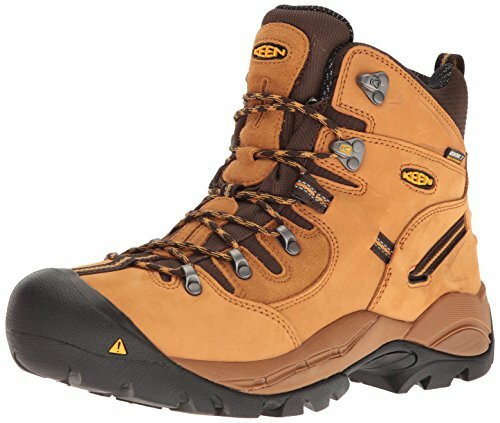 So a pair I'd recommend that tick both of these boxes are the Keen Utility Men's Pittsburgh Steel Toe Work Boot. But whatever pair you go make sure they have good grip, comfort, and support. Click here to find out more about the best work boots for construction workers. And finally you can give your core muscles a helping hand by wearing a back support belt. As these belts work alongside your core muscles to help support and stabilise your lower back as you lift. And they encourage you to keep a good posture which also reduces the strain on your back. So while they won't make your back invincible, they are a great investment for anyone that has to lift during their workday. And a good one for people that do heavy lifting on a regular basis is the Maxar Deluxe Work Belt. So give one a go and see if it makes life any easier. 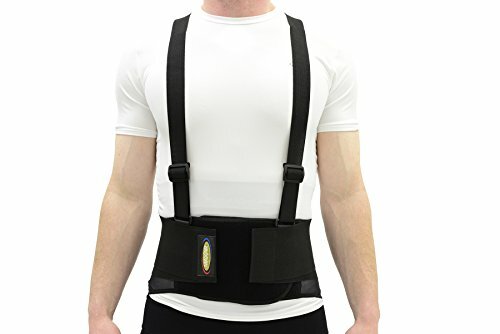 Click here to find the best back support belts for construction workers. Having to lift things on a daily basis at work can be tough on your back and doing it incorrectly is a major cause of workplace injuries. However, by warming up beforehand, keeping your core muscles strong, wearing the right clothing, and employing the safe lifting techniques outlined in this article. You can make sure your back stays healthy and pain-free at work. So don't become another injury statistic. And make sure you are lifting mindfully and correctly throughout the day instead.